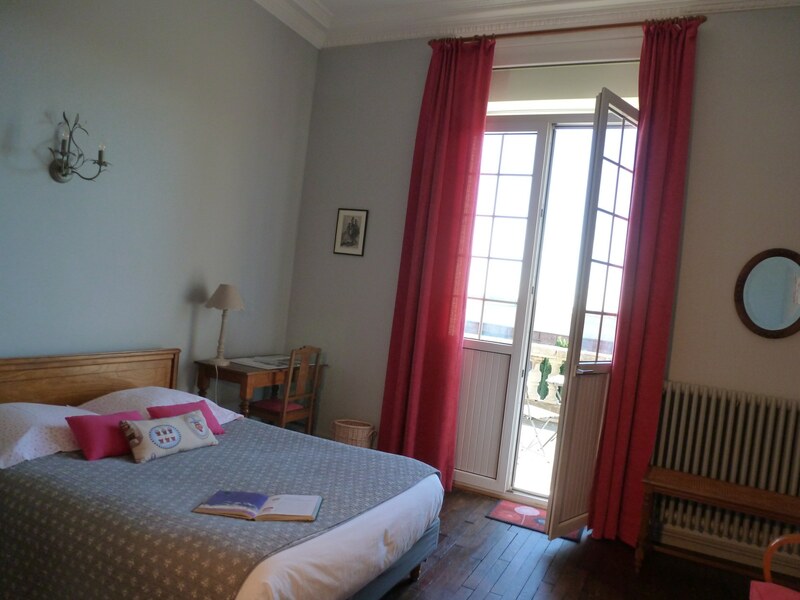 The Balcony bedroom welcomes you with its tones of grey and fuschia pink. 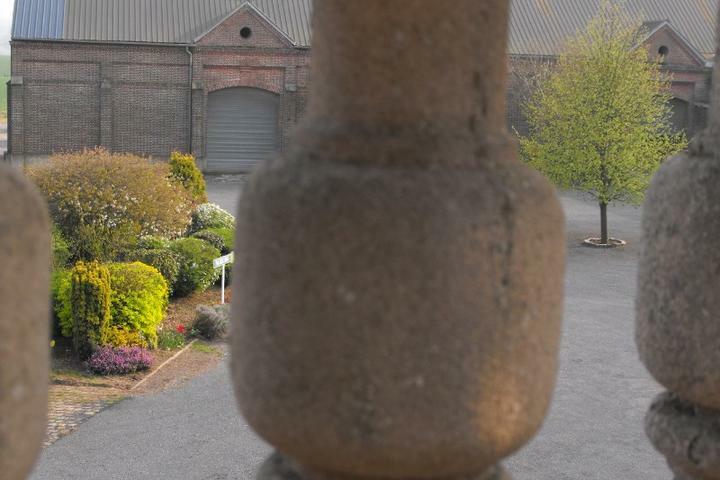 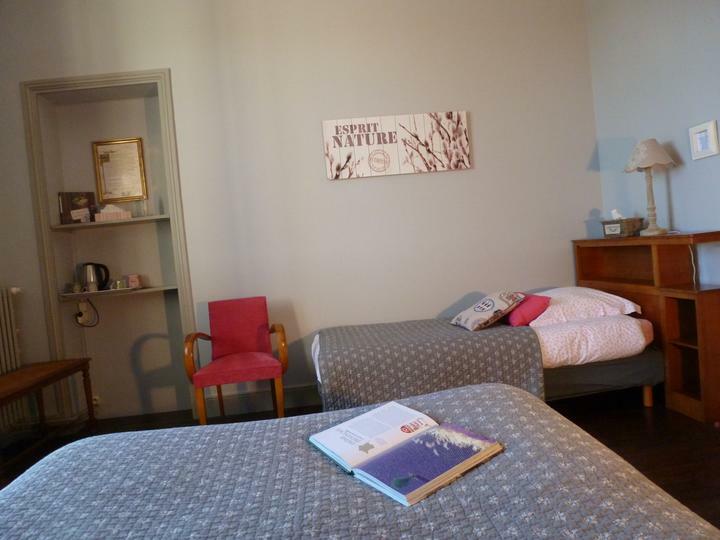 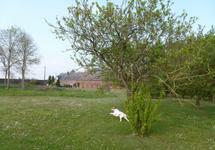 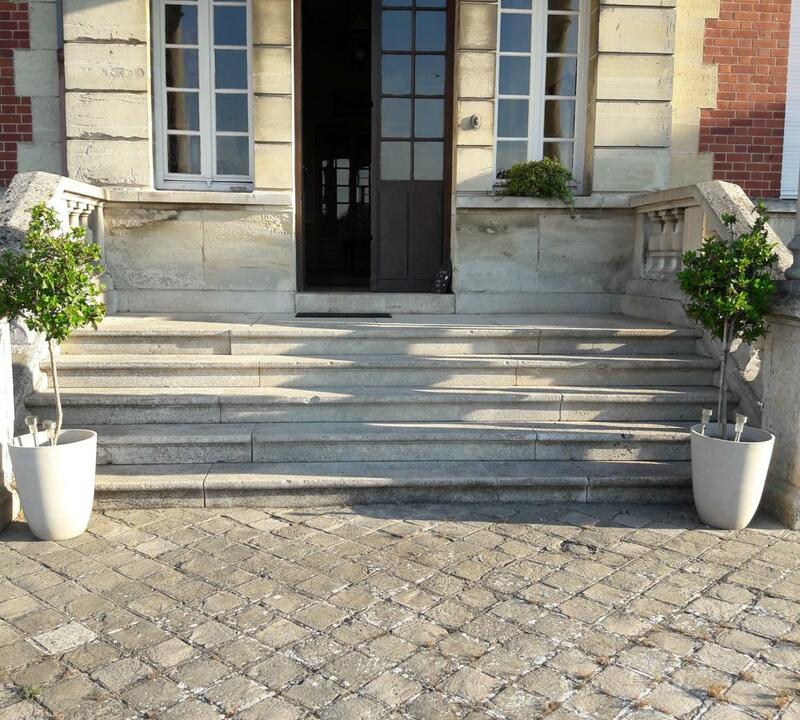 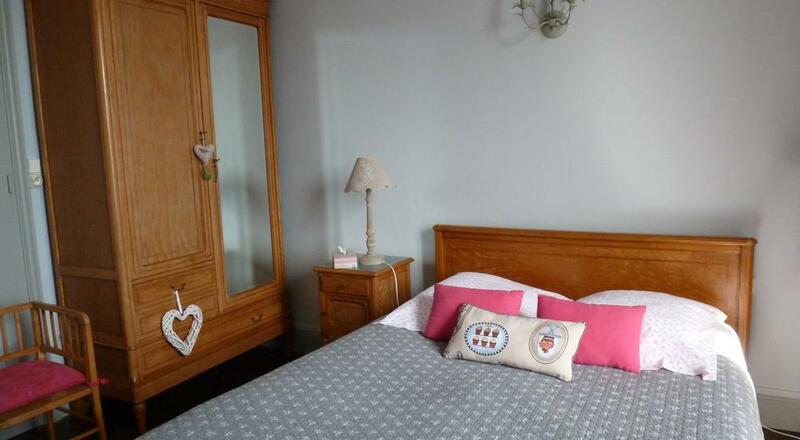 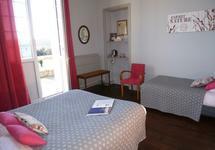 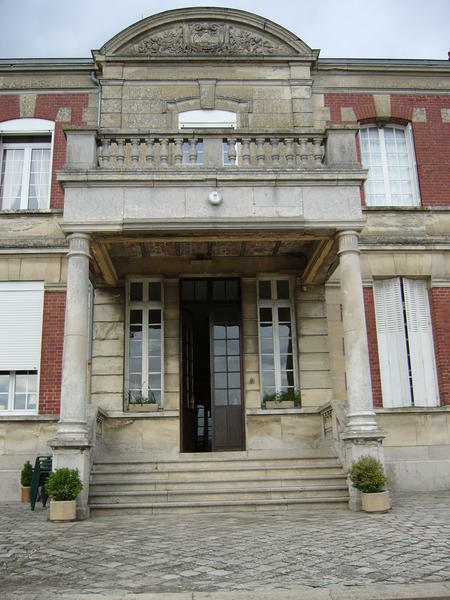 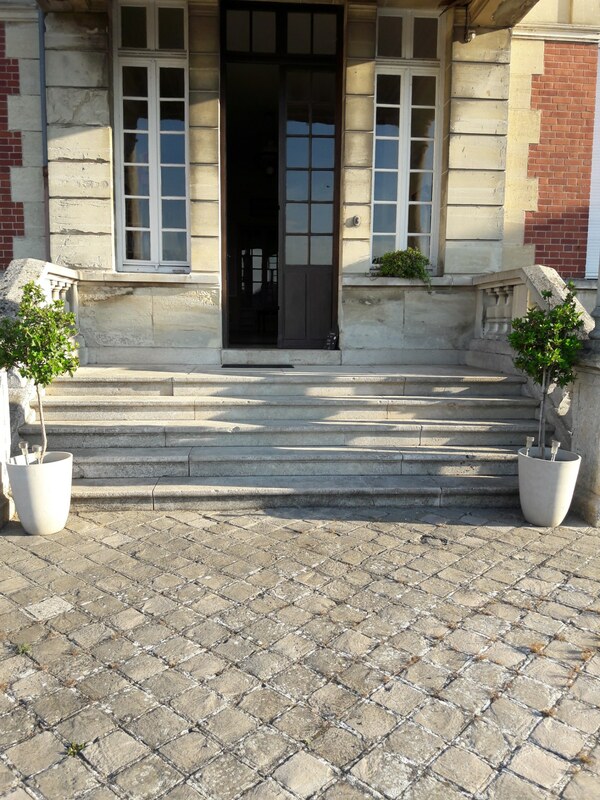 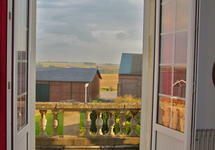 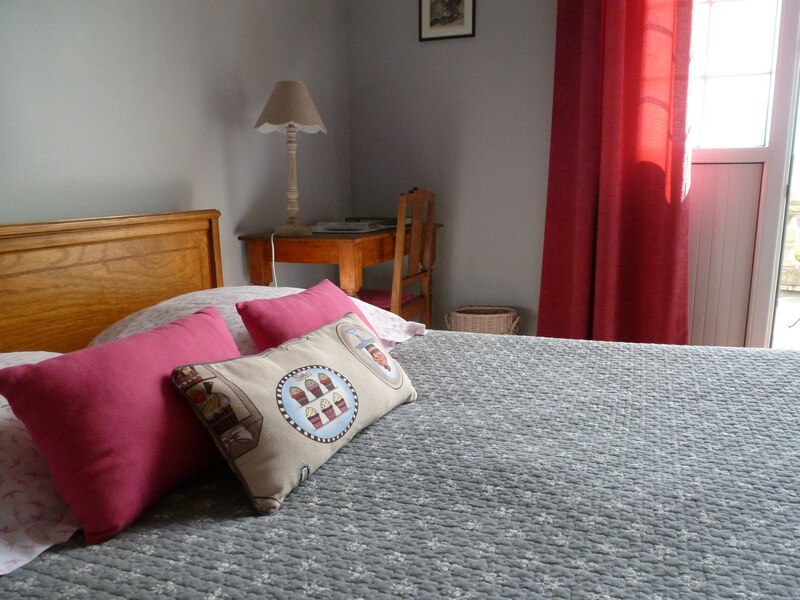 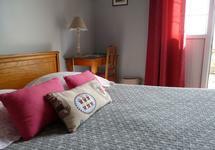 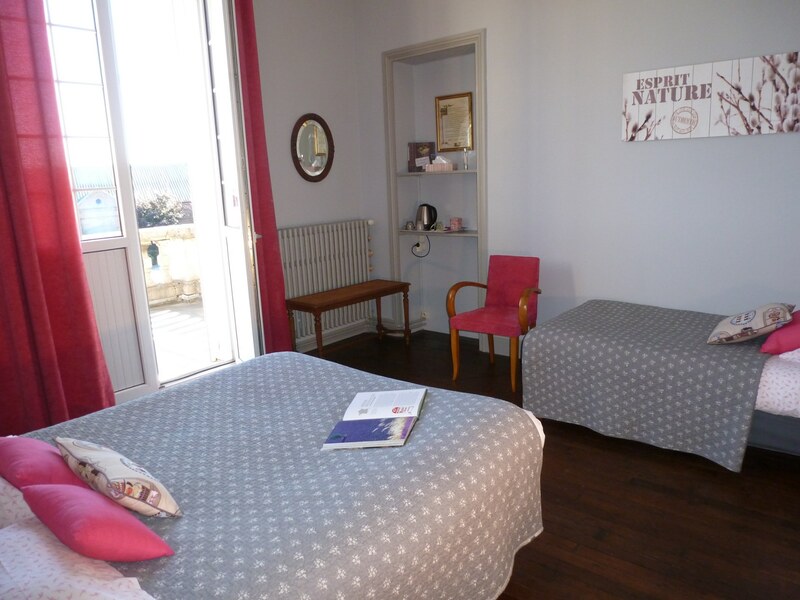 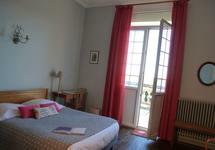 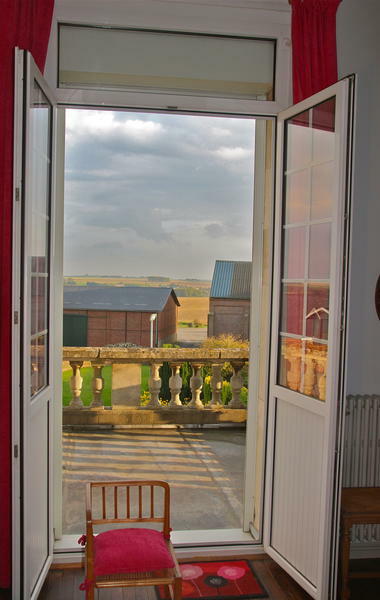 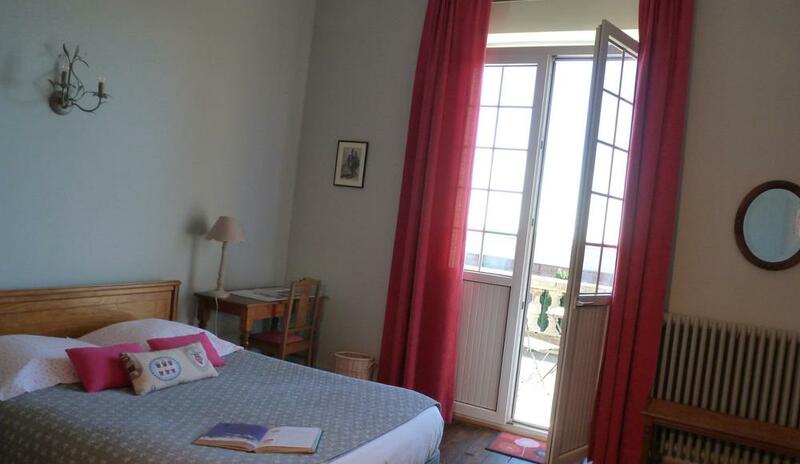 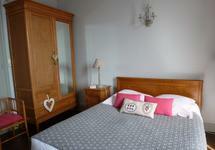 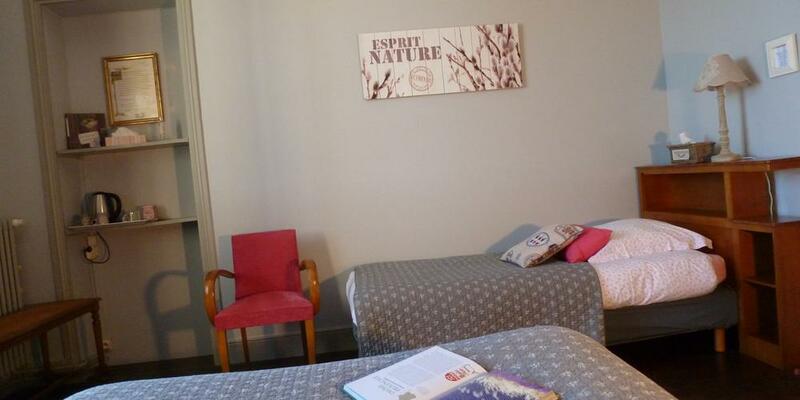 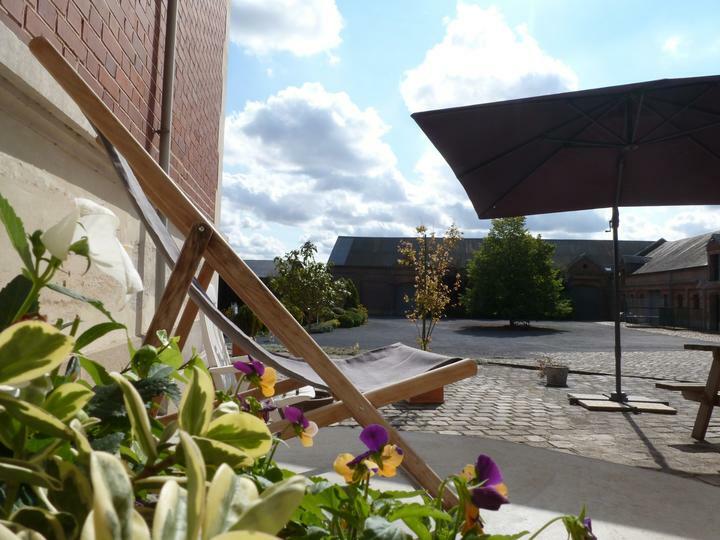 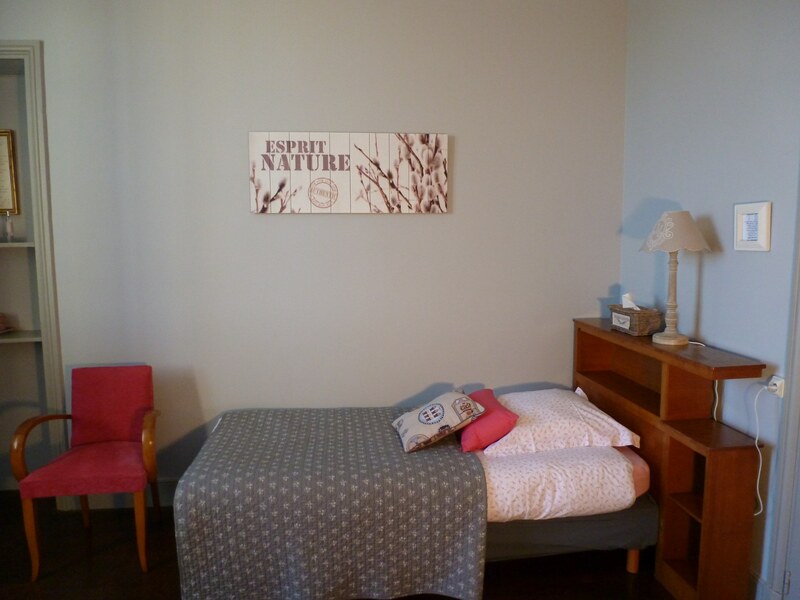 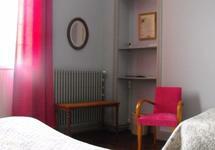 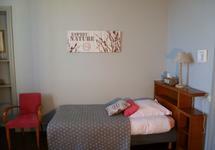 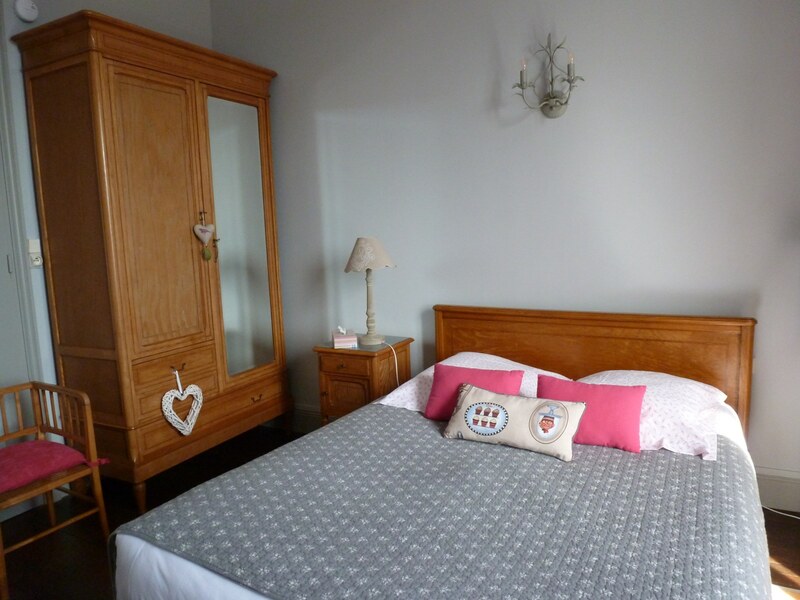 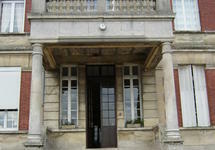 This bed and breakfast is very quiet and offers a impregnable view of the wooded countryside and the paved courtyard. 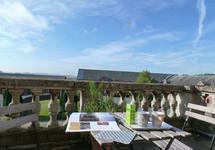 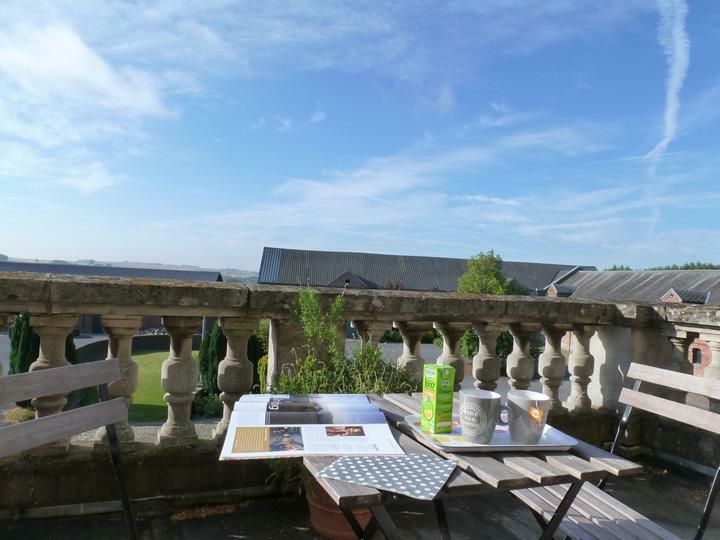 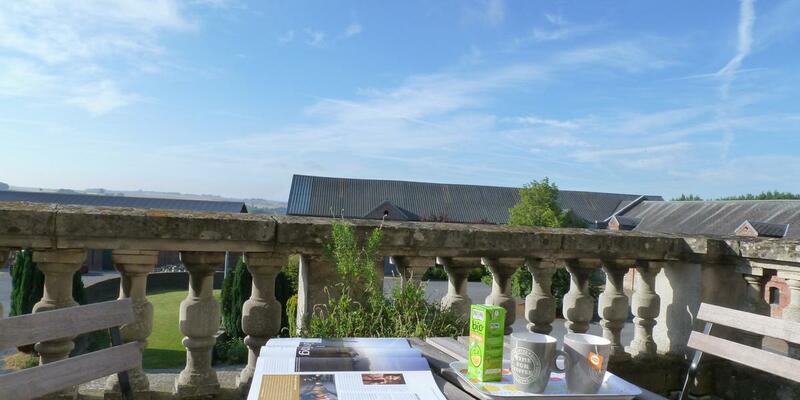 Its large balcony is the ideal place for relaxation, reading, posing tea or coffee. 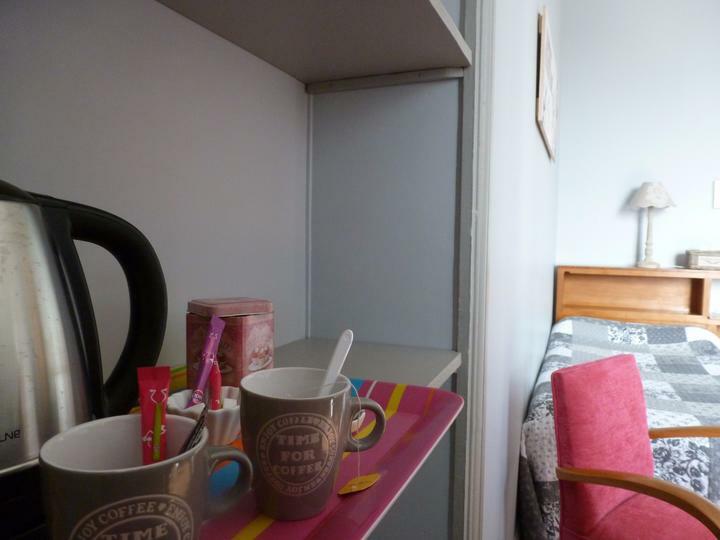 Tea and coffee making facilities in the room. 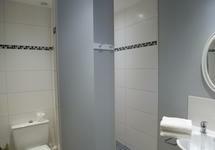 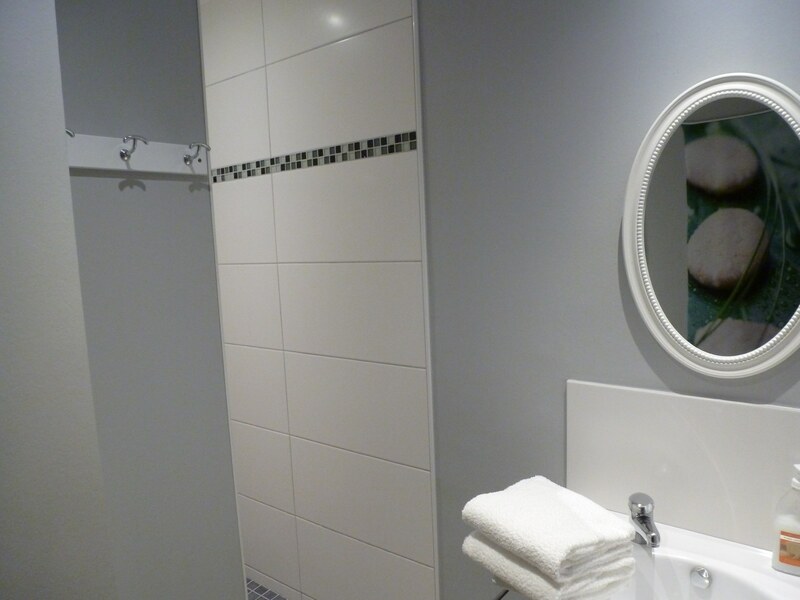 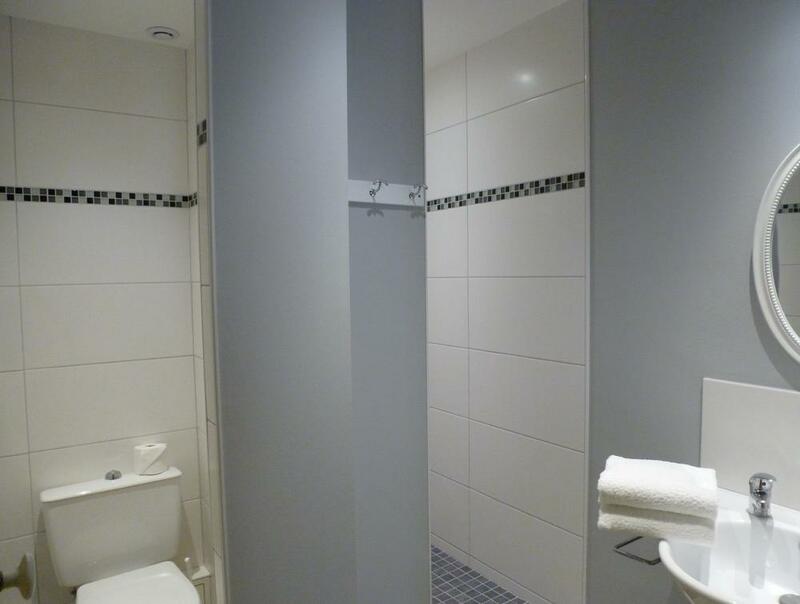 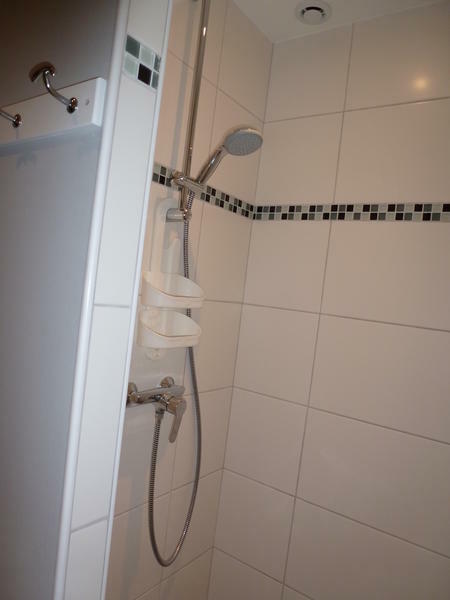 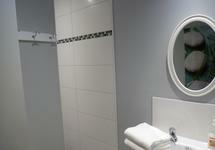 The bathroom is located in the corridor and is reserved for the bedroom. 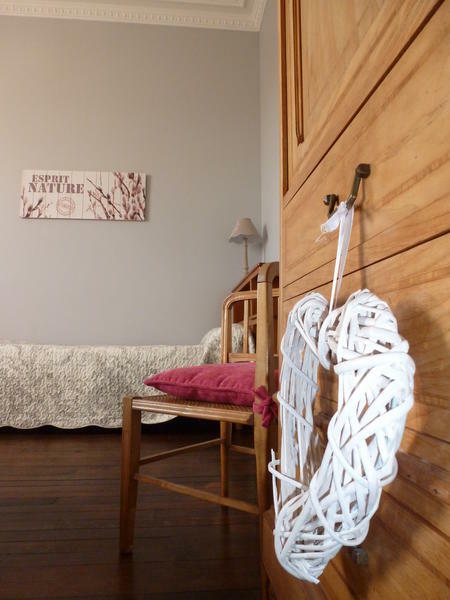 For the olders we have a baby-foot game.